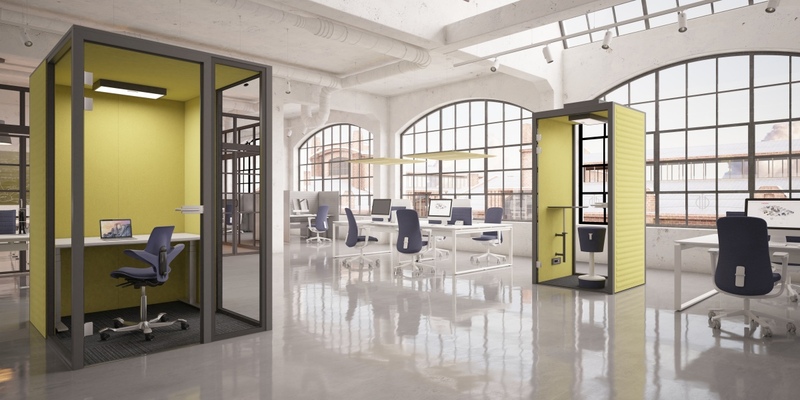 - Phone Booth – designed for phone calls, video conferences or short working sessions. 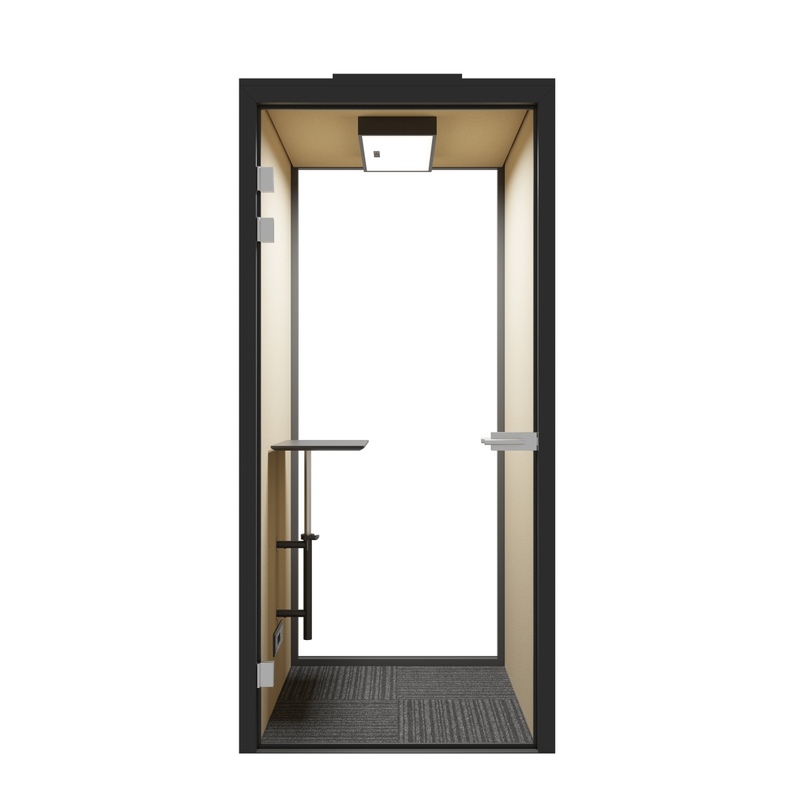 Inside space of 100 x 100 cm is larger than in most phone booths available on the market and allows to use ergonomic chair inside for extra comfort. 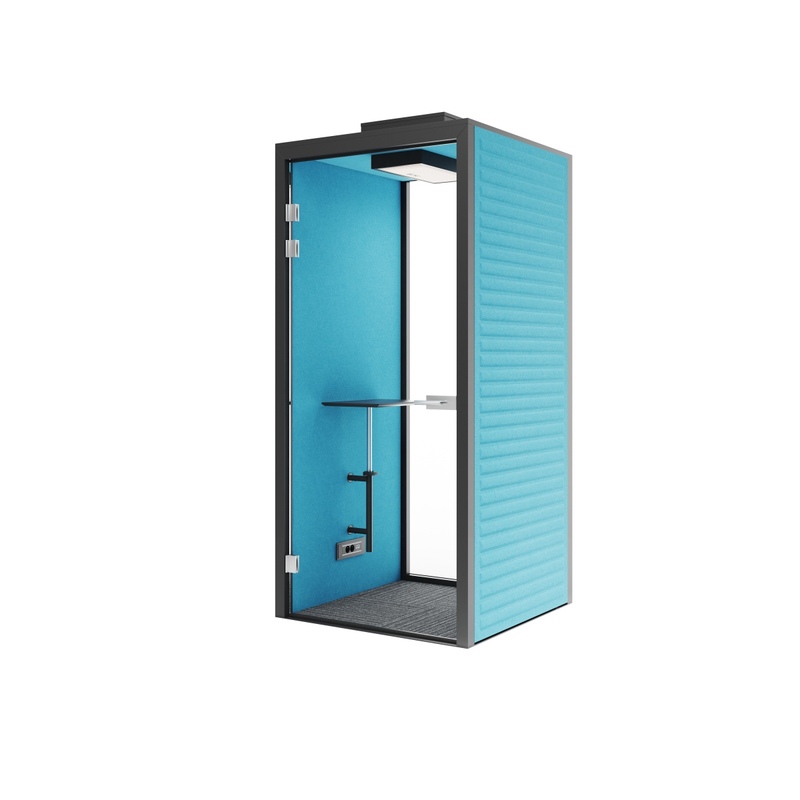 Phone Booth modules are equipped as standard with power and media solutions and a height regulated desktop to switch for sitting or standing position. 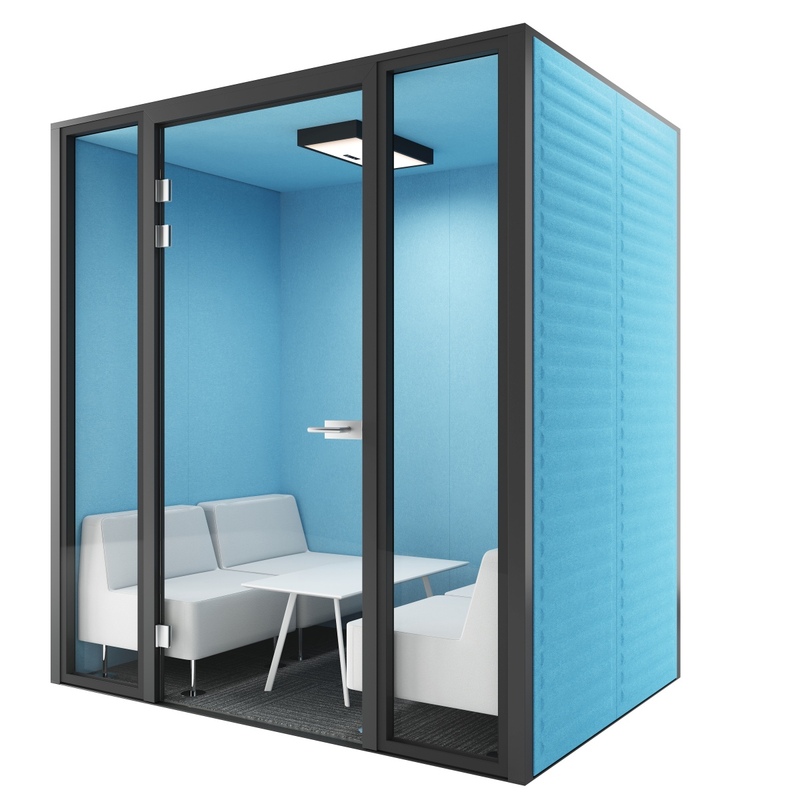 - Meeting Pod – designed to host meetings of 4 or 6 people. 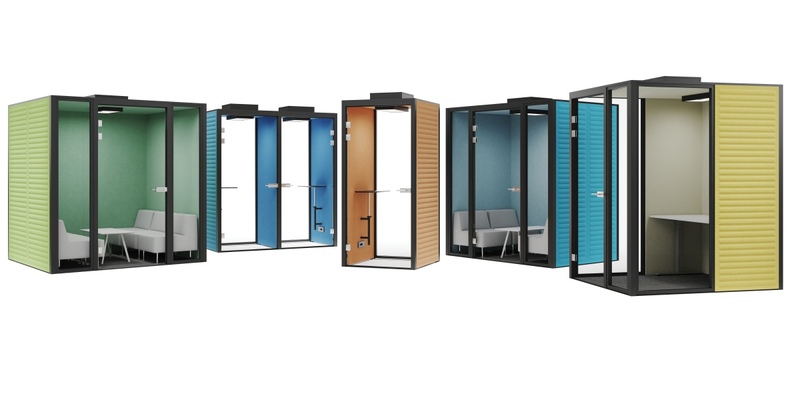 Meeting pods are equipped as standard with power and media solutions and can additionally fitted with TV units or monitors for comfortable presentations and video conferences. Modular construction, glass and upholstered walls fixed to aluminum posts. Glass walls made of tempered double glazed glass (two sheets of glass fixed to aluminum profile forming space between them filled with air) – this solution guarantees the best sound insulation. Acoustic upholstered walls with high sound absorbing and insulating properties. The walls are 60 mm thick and both outer sides are filled with sound absorbing material covering a core designed to block sound waves. Outer side of upholstered wall panels can be fitted with unique 3d pattern (horizontal stripes available as standard). Glass doors made of 8 m thick tempered glass with special set of hinges and acoustic gaskets. Ventilation and intelligent light mounted in the ceiling and sound proofed. Both ventilation and light switch on automatically with a presence sensor. Intelligent light is programmed to set power based on the light conditions outside the booth. Modules available both with or without extra floor. Full mobility thanks to modular freestanding construction which doesn’t require anchoring to floor. Modules can be fitted with personalized media and power solutions based on client’s requirements. In Phone Booths height adjustable desktops are mounted as standard.